An Attorney’s Advice on How to Buy Car Insurance in Illinois | Gardi & Haught, Ltd.
As a personal injury attorney, I often sit across the table with insurance company representatives, trying to negotiate fair compensation for my client who was injured in an accident. All too often, the driver at fault cannot cover all of my client’s medical expenses and property damage, even if I obtain the maximum award from the policy. Then my client and I will have to take further legal action against the driver to collect what is needed, most likely from the driver’s personal assets. And why? Because the driver at fault did not make good choices when they purchased their insurance policy. Buying auto insurance is always a gamble. You don’t want to spend more than you absolutely have to in order to be protected. The problem is, you never know how much protection you will need and by the time you find out you are underinsured, it is too late. Based on my experience as an attorney, here are some things you should consider when you shop for insurance so if you find yourself in the midst of a personal injury suit, you will come out on top. Avoid Substandard Insurance. From a legal perspective, there are two kinds of insurance: standard and substandard. Standard insurance carriers include the most well known ones like State Farm, Progressive, Traveler’s, Farmer’s, etc. who are careful about who they insure and sell good policies. 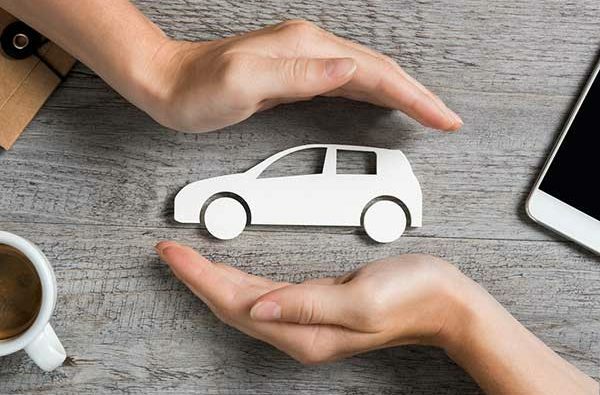 Substandard insurances will give you a policy quickly, at a very low cost, and are popular with drivers with problematic records who need immediate coverage. These include carriers like the General, 1-800-Safe Auto and United Equitable. When you buy car insurance in Illinois, in general, you get what you pay for. If you choose a substandard insurance company and you ever make a claim, you can expect substandard customer service. You may have trouble getting to a live person on the phone or having your calls returned. Most importantly, you may have difficulty getting claims paid. Substandard insurances would rather drag out a case and subject their insured party to litigation than admit fault and pay the plaintiff. Carry Enough Insurance for Personal Liability. The biggest mistake people make when shopping for insurance is to settle for the State of Illinois minimum coverage, 25/50/20, which means $25K for one person in an accident, $50K for more than one person in an accident and $20K for property damage. The recommended amount of coverage for any driver in Illinois is 100K (per person)/$300K (per accident) and $100K (property damage). This is usually sufficient coverage for not only you but your passengers. Medical coverage is optional. If you don’t have any coverage, you will be responsible for your own medical bills in case of an accident. The trouble with 25/50/20 insurance is that it rarely covers the type of accidents where claims come into play—like when there is a serious or debilitating injury or even death. If someone sues you over and above your policy maximum (which is quite likely when you carry only minimum insurance), the injured parties could come after your personal assets to make up the difference. You could lose your house, your business and your financial security before you know it! Purchase Medical. Purchasing additional medical coverage is relatively inexpensive (approximately $25K coverage for about $50 a year) and can cover medical bills for you and your passenger. Medical coverage gives you flexibility when you are injured in an accident. You can see any doctor without a deductible. Your medical coverage can also be used to pay for specialized treatment, like physical therapy, that is not usually covered by some health insurances. Most importantly, it covers the high medical bills of anyone you may injure in a car accident, so they do not pursue payment from your personal assets. Don’t Switch to Cover Your Tracks. If your driving record is sketchy and you are worried about your insurance company raising your rates, don’t switch to another carrier thinking that they will not find out about your accidents. Your accident reports are public record and are similar to your credit history—those who need the information will find it and can use it against you. Don’t Blindly Renew. When it’s time to renew your car insurance, take a close look at your coverage. If the premium has been changed, are you still getting the same coverage? Have you had an increase in assets that you would like to protect? (Higher insurance limits should be considered.) Has your health insurance changed in a way that should change your medical insurance? Is there a new driver in the house? Remember, the insurance company must be notified of all new drivers on the policy or else they are not held responsible for the coverage if the new driver has an accident. The best way to protect yourself against a personal injury case is to know how to buy car insurance in Illinois. Then you will have both the right insurance carrier, and the right policy, on your side. If you ever find yourself in an accident and in need of legal counsel because of personal injury, please don’t hesitate to contact the experienced attorneys at Gardi & Haught by clicking on our free case evaluation button below.